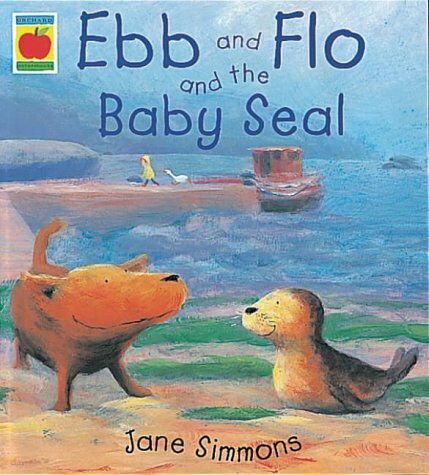 The latest seaside adventure for the dog Ebb and his owner Flo concerns a lost seal pup who shows up on the beach outside the house on a rainy day when Ebb has been vainly seeking a playmate. The two creatures have a wonderful day of it, but when dinner time comes, Flo's mum has to help to reunite the seal with its mother. That is all there is to the story, but Jane Simmons' expressive paintings, soft focus and muted, but sparked with vivid flourishes, make of it a real adventure and a fine book to read aloud, touched with pathos, joy, danger and resolution.